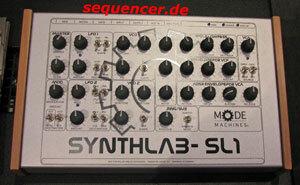 Neue Erica Synths Module kommen, dh. viele werden einige dieser Module schon gesehen haben, aber FERTIG waren sie bisher nicht. Die meisten kommen zwischen Feb und Mai auf den Markt. Graphic VCO which allows you to draw your own waveforms, arrange them in wavetables and wavetable banks, morph between two selected waves and wavetables, alter the resulting wave in advanced ways (FXes) – apply FM, phase distortion, ring modulation, wavefold/wavewrap, bitcrush and modulate the effects with internal synced LFO. DRUM module series, and the aim is to develop extremely versatile Drum System. 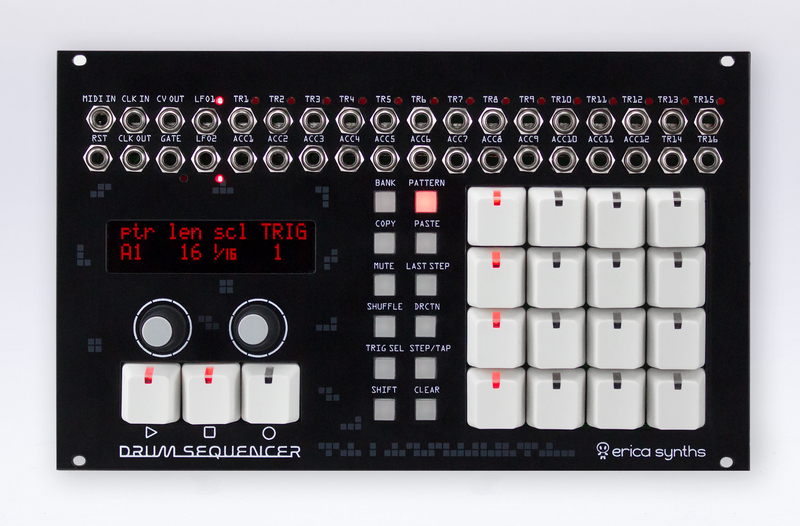 Drum modules are designed in collaboration with French company e-licktronic, famous for DIY drum machines NAVA and YOCTO. BASS DRUM and SNARE DRUM are full analogue, 909-inspired, modules for serious techno sound with lot of CV controlled parameters for modular setups. More drum modules are in development – Toms, Clap, Rimshot, HiHats, Cymbals, sample-based drum module and, to pull all system together – dedicated a drum Mixer with extended headroom and a limiter of unique design. The Sequencer, Bass Drum and Snare Drum are in production and will be available in the first weeks of March 2018. Erica Synths has fully redesigned one of signature modules in Black Series – Black Hole DSP2.. Black Hole DSP2 comes with 24 custom effects, developed in by Erica Synths teamrider KODEK in collaboration with creator of Spin CAD software Gary Worsham. It comes with analogue Dry/Wet crossfade, 3 parameters per effect, distinct Crush feature that radically reduces sampling rate to 1kHz. Useful feature for live performances – all three parameters can be saved with the effect and they are recalled instantly with selecting the effect. this one was cool – and will be cool again! Black Hole DSP2 – April 2018. Our latest development – Resonant Equalizer features fully analogue signal path – 12 unique design (they are not “inspired by”) bandpass filters, that are digitally controlled for increased versatility. 12 band equalizer with manually and CV controlled band levels and resonance occupies only 20HP of rack space. Analogue filter boards will be exchangeable and provide different combinations of bands; the first one has 9 semitone distance between bands. Apple setzt Signale: Firewire, neues altes MB wieder da!! Infection Music : Zeit shipping now?